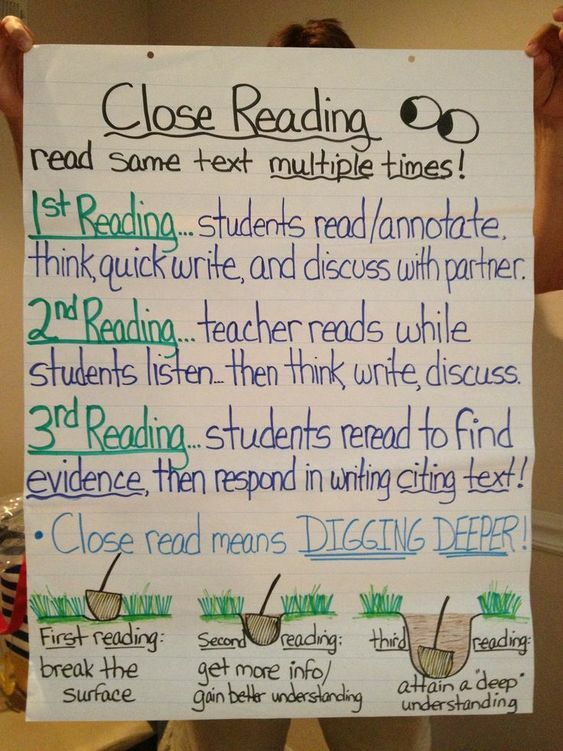 Close reading means reading a text multiple times and using strategies to understand the text’s deeper meaning. 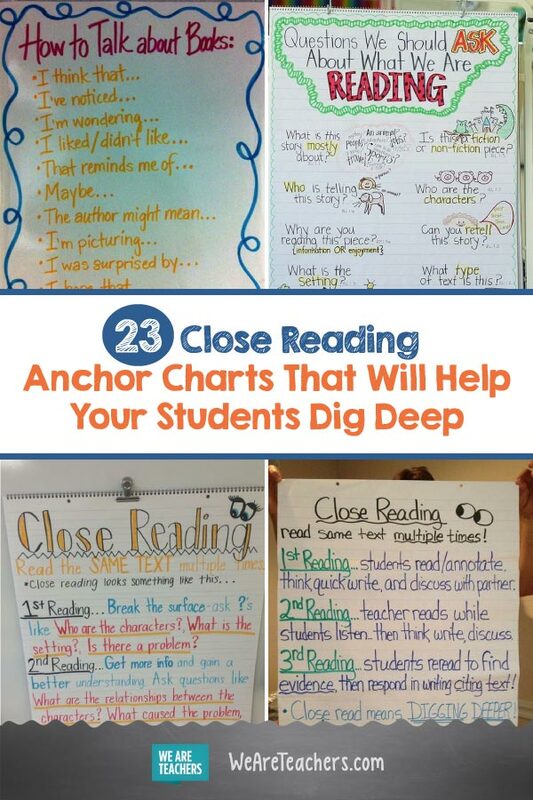 To help you teach close reading, here is a round up of some of our favorite close reading anchor charts. 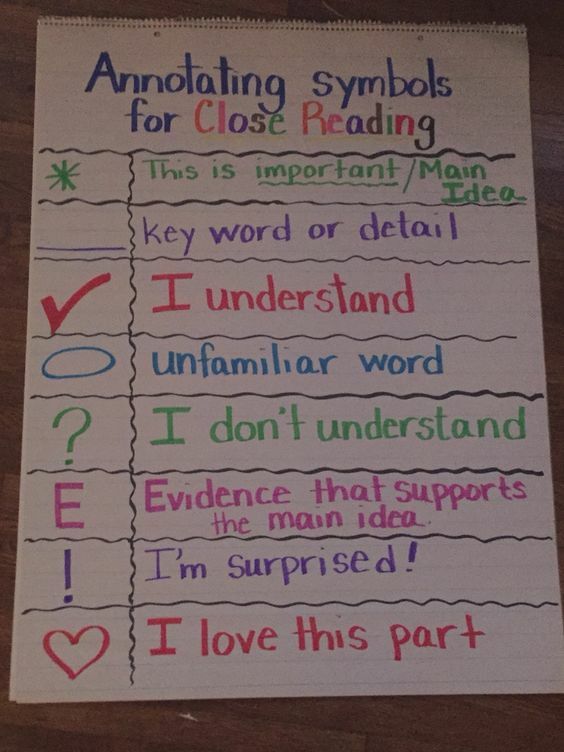 Introduce the steps of close reading to your students with this anchor chart. This chart lays out the process nicely. 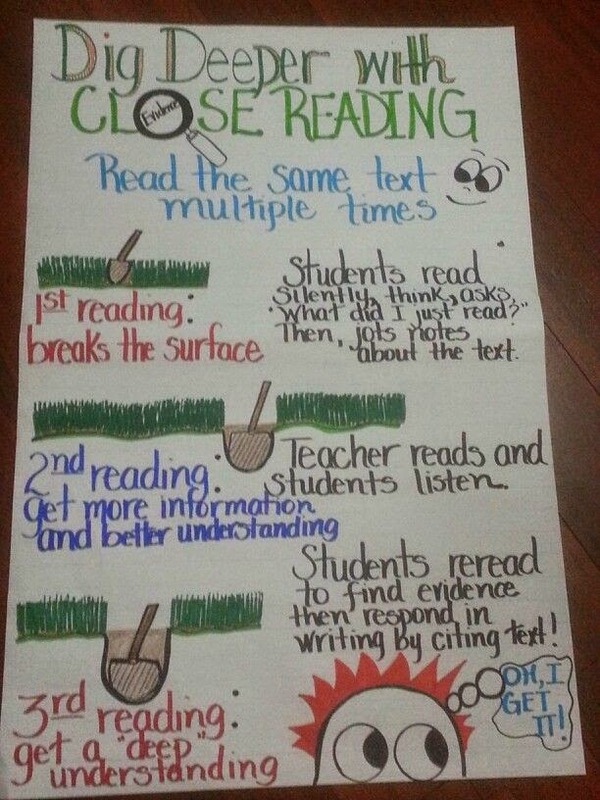 Close reading is reading a text multiple times. 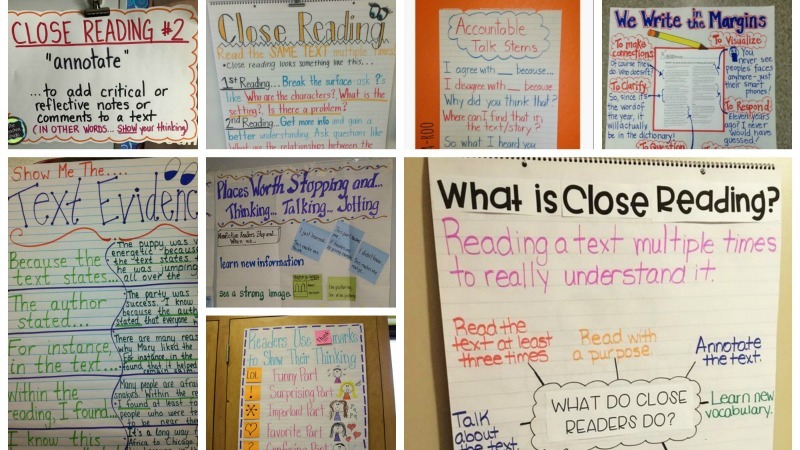 These anchor charts explain how and why students read the text multiple times. 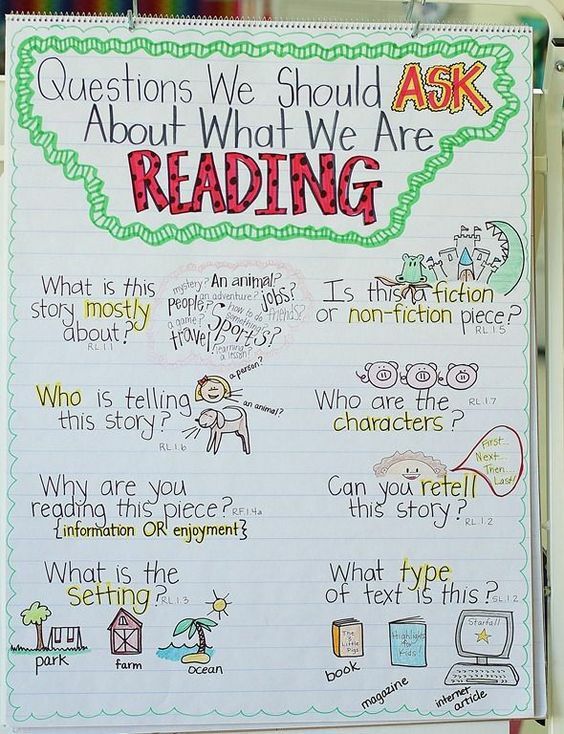 This chart gives students questions to think about as they read. 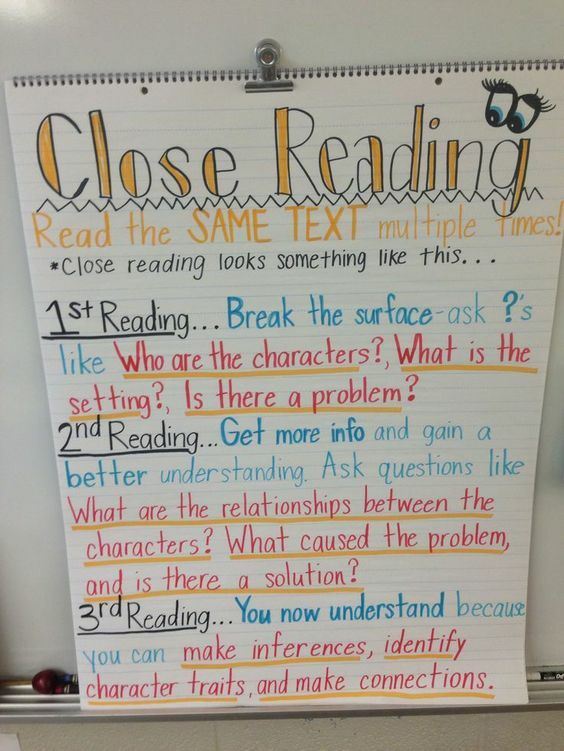 Questions reader should be asking themselves as they read. Take notes as you read. 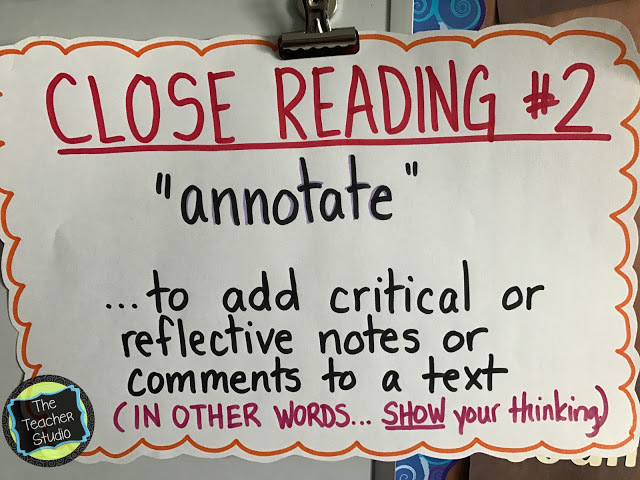 Annotate, or in other words take notes, to show your thinking. 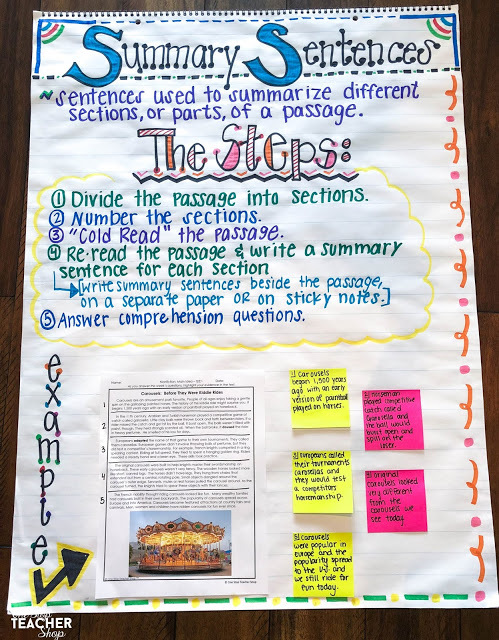 There are many methods for annotating—from using basic marks and highlighting to writing in the margins and using sticky notes. 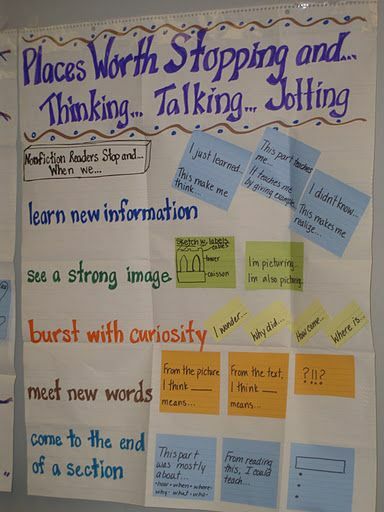 Write down any vocabulary words that are new to you. 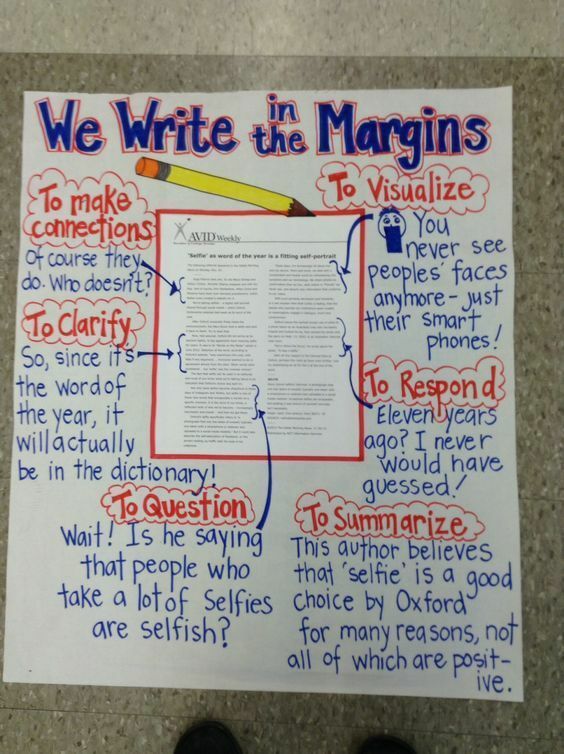 Think marks are one strategy for taking notes. 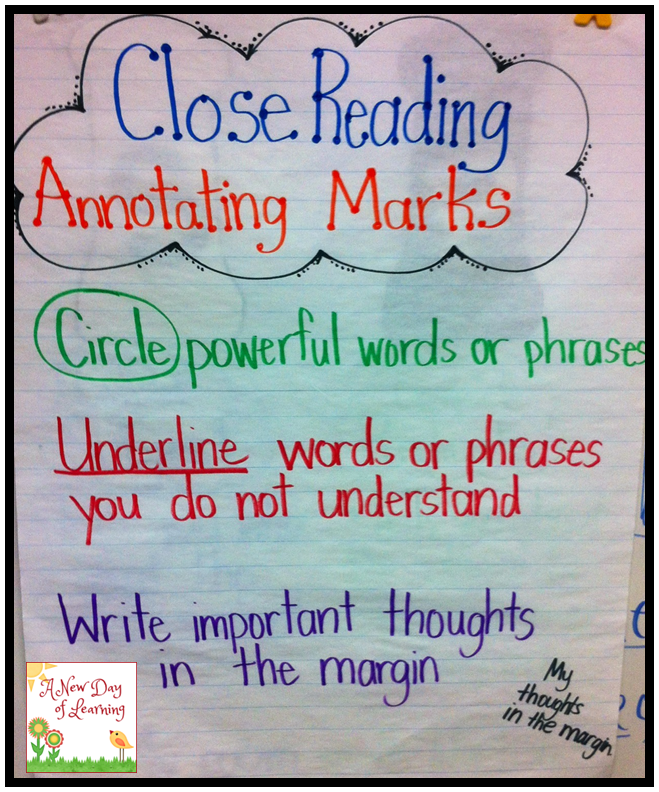 Annotating symbols that students can write on copies of the text or on sticky notes. 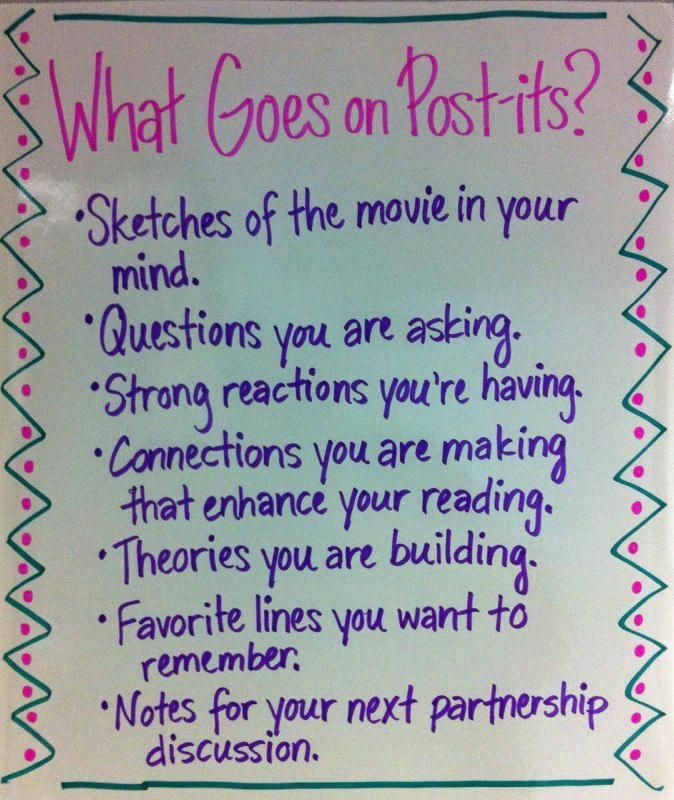 This chart shows why it is important to take notes. 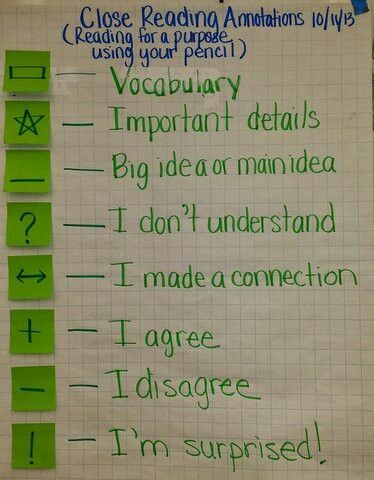 This anchor chart points when it is important to stop and take notes. 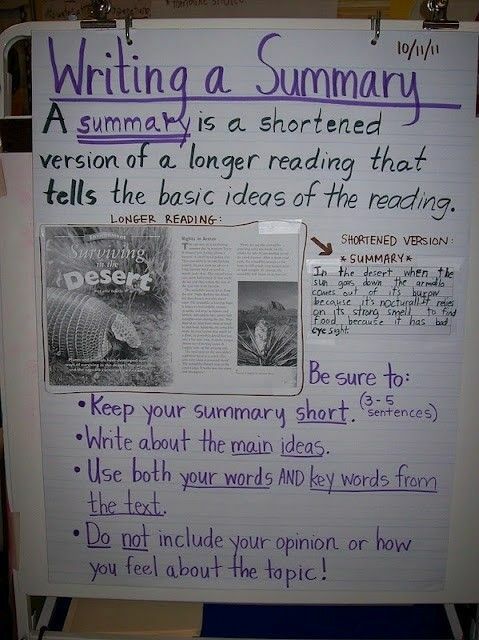 When students read a longer text, it’s helpful to break it into sections, writing a summary sentence for each section. 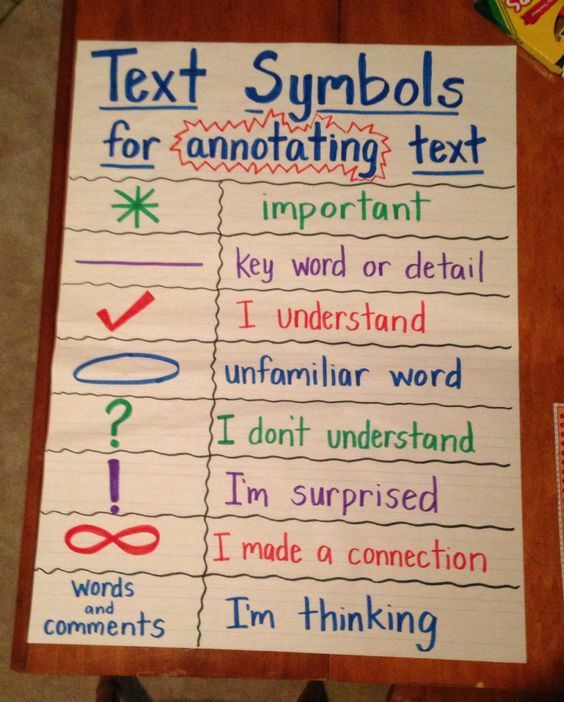 This anchor chart shows how to pick out basic ideas in a text. 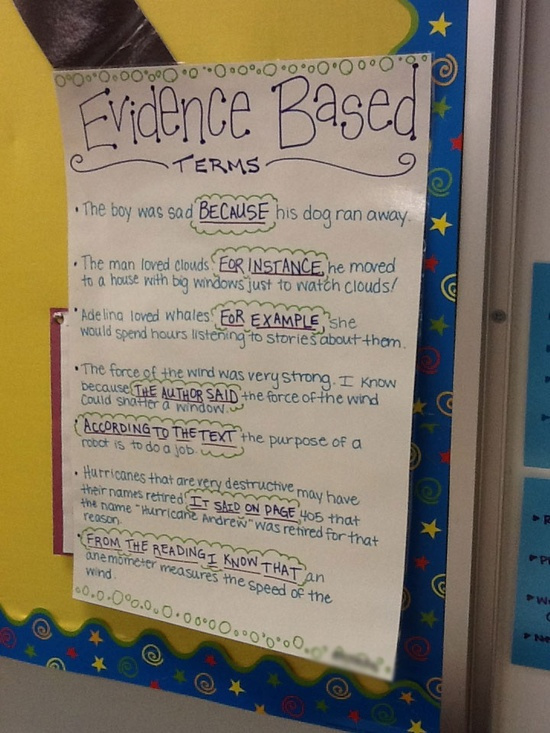 As students take notes, they are gathering evidence from the text to answer questions. 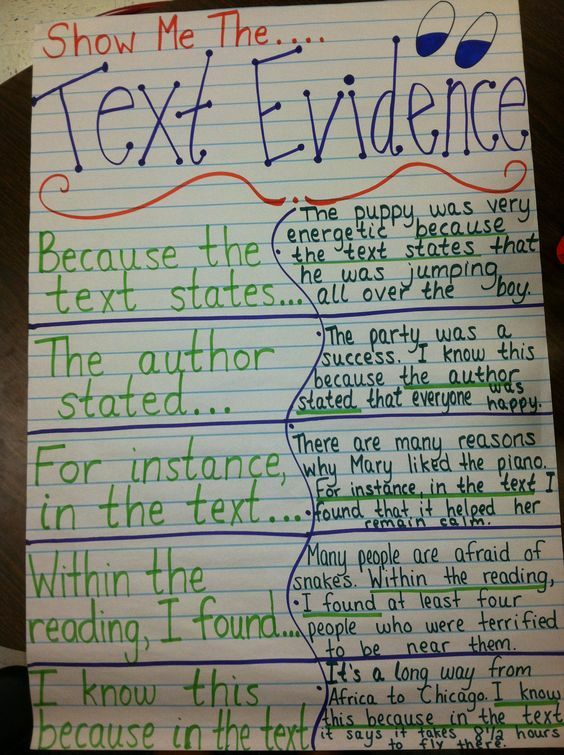 This anchor chart gives students sentence starters to find evidence in a text. 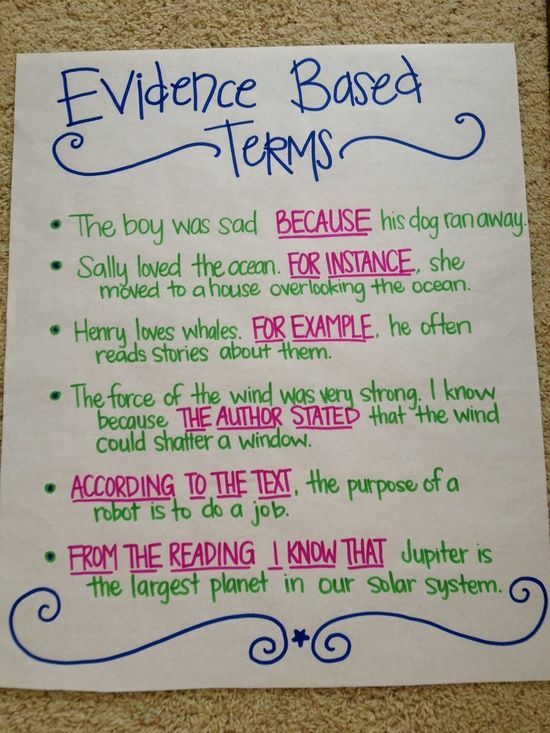 This chart shows key words to use when stating evidence. 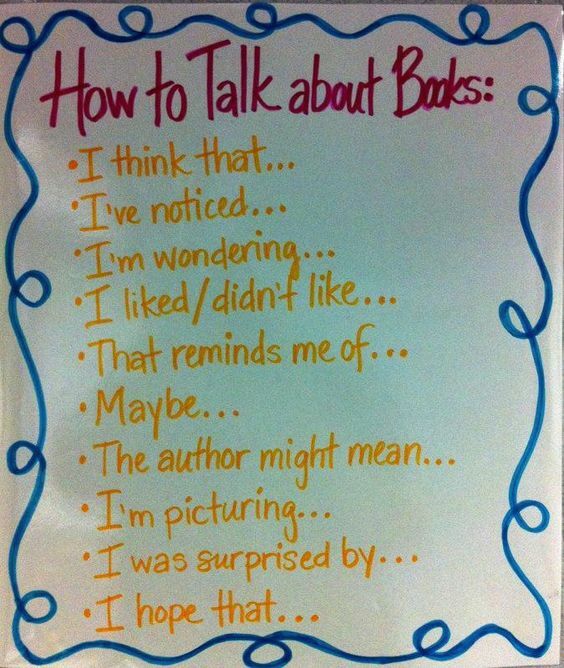 Talk about what you’ve read. 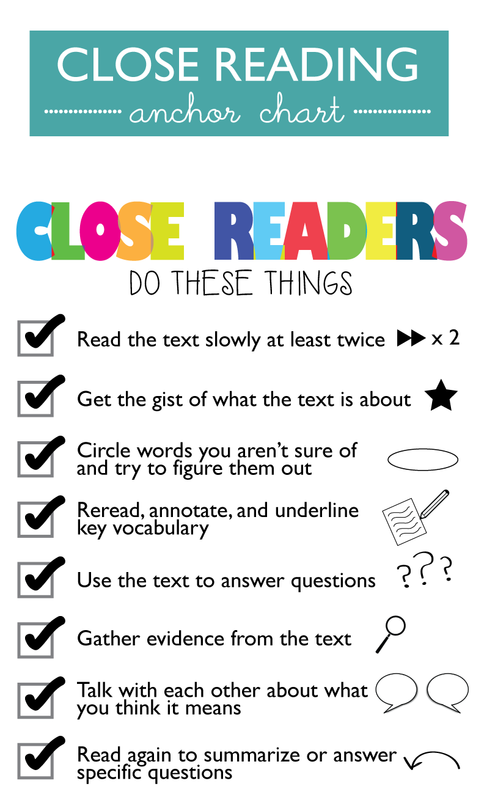 An important part of the close reading process is talking about what you’ve read. 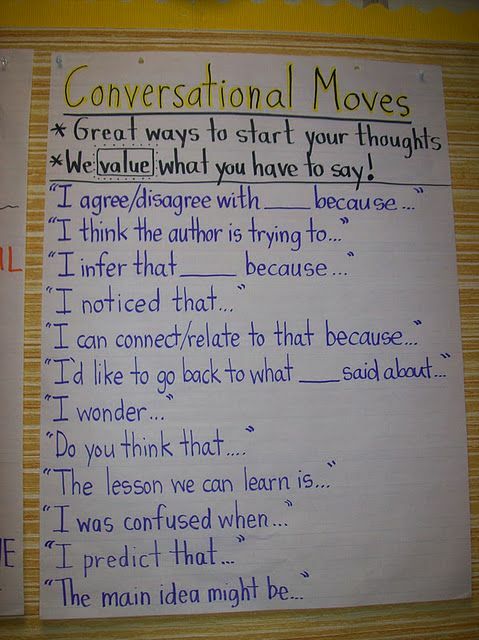 This anchor chart gives students language to talk with a partner. 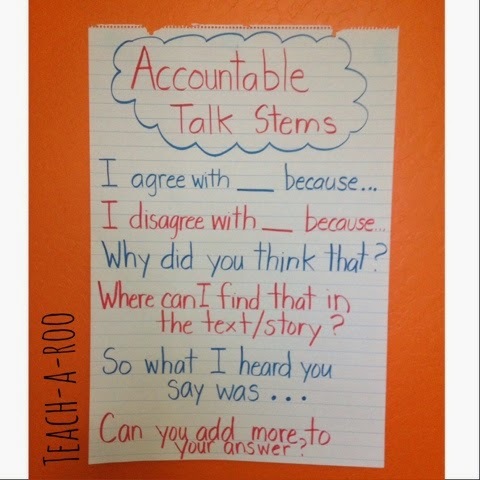 This anchor chart gives students language to share their point of view. 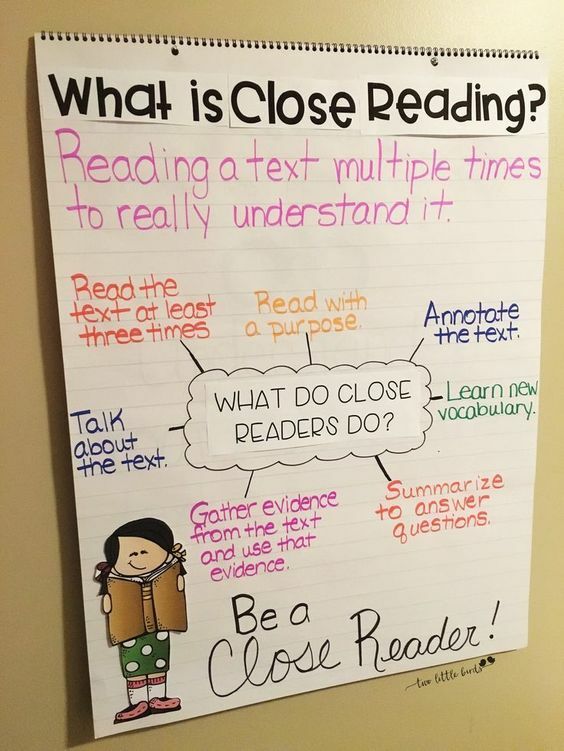 What are your go-to close reading anchor charts? Come share in our WeAreTeachers HELPLINE group on Facebook. 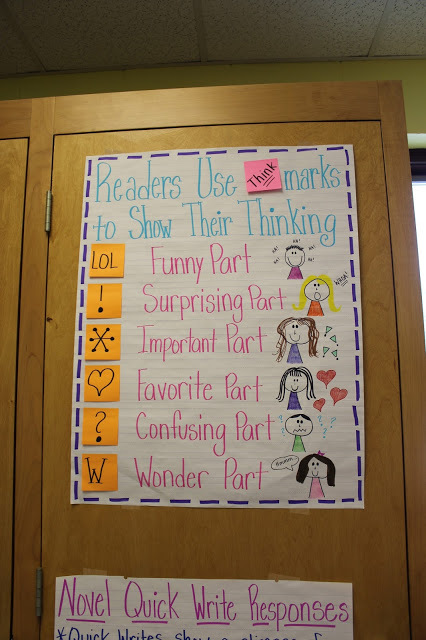 Also, check out our favorite nonfiction and reading comprehension anchor charts.